The first part of this blog post is here. So Hurra for Ben and here's the second part of my small tutorial. If you want to hammer a server, you cannot run all the virtual concurrent users from a single box. You will end up eating all your resources and will not be able to simulate a very big load. If you need to run a couple of hundreds of concurrent users, one box is enough. But you'll need more boxes to get more load, obviously. 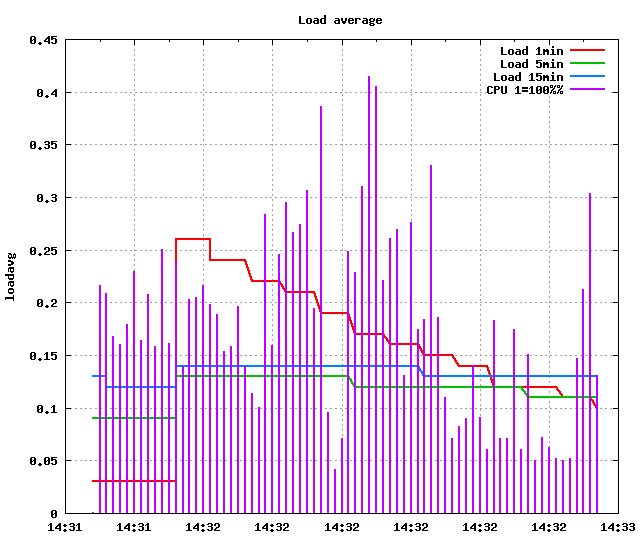 Depending on the complexity of the tests, I usually end up having at the most 200 CU (Concurrent Users) per node. In the past, I was using Fabric to do distributed tests for Funkload, see here. But this is not needed anymore because Funkload has now a built-in support to distribute the charge amongst several nodes. It uses a similar technique that I used in Fabric, by driving the nodes via SSH using Paramiko. The benefit though, is that it does all the heavy lifting for you: your test suite gets deployed on the nodes, and the XML result files gets downloaded for you on the master. All you have to do once the test is over, is to merge the XML files and generate reports. And the merging is taken care of by a Funkload script so... Let's do this ! Next, select a few boxes that will be your nodes to run the tests, and make sure they have Python and virtualenv installed, and that you can access via SSH to them without having to type anything. The simplest way to do this is to copy over an ssh key with an empty passphrase. See this article if you don't know how to do it. Notice: having a ssh key that does not require a passphrase is a potential security hole, so make sure these key are used only for this purpose, and safe. These options tell Funkload which Funkload release should be used on the node, and where to put the logs. The script will install it in a virtualenv on every node, prior to running the tests. Once everything is set up, you can run the test using all your nodes with the --distribute flag and the --distribute-workers option, that gives a list of the nodes. The script deploy the tests into the nodes, run them, and grab back the XML files. Congrats, you're now able to run distributed tests ! 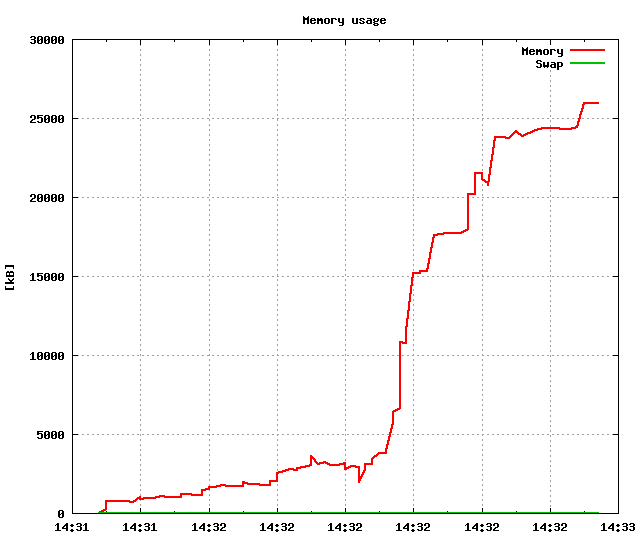 This is very useful to detect memory leaks or abnormal consumption of memory. To do this, you need to run a monitor server provided by Funkload on the server you want to watch. Once Funkload is installed there, create a monitor.conf file. Here server is the server I am benching, and the monitor server will run on the port 8008. The interface parameter will just tell Funkload which one to watch. The client section tells the monitor server which server will call it, so our bench master. Starting monitor server at http://localhost:8008/ as daemon. use stop to stop it, obviously. You're all set ! Simply run the benches as usual, and you should see a new section in the reports you're generating, with four new graphs. That's all. I hope you found this mini-tutorial interesting, and that you'll give Funkload a shot. I've tried many tools, like The Grinder, Apache JMeter, and some proprietary things from Mercury etc. And Funkload, out of the box, beats them all because it let me create my own stress tests without any crazy interface of framework. Thanks for all the work Ben.